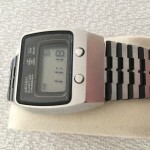 This model is a so called TV watch due to the chunky format with proportions is similar to a TV. Made in stainless steel with black anodized/stainless bracelet. Released in 1975 i think. 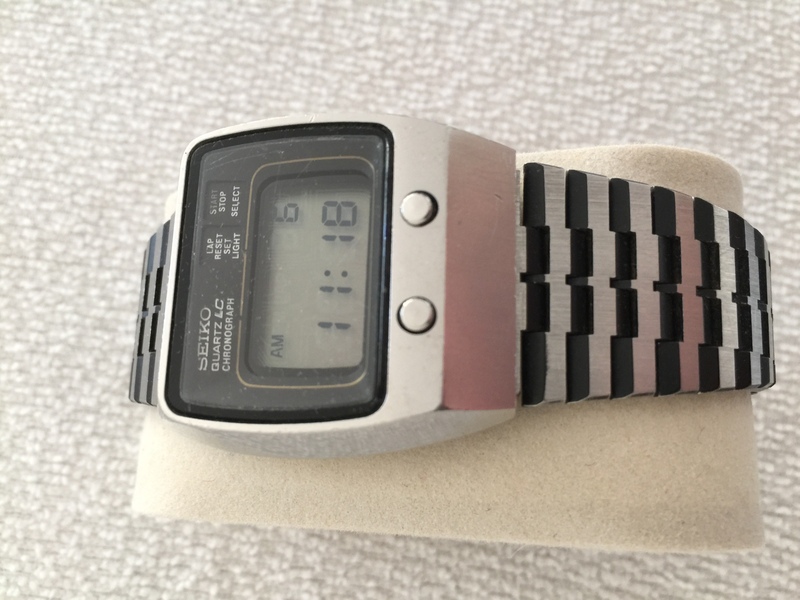 Surprisingly comfortable to wear, great wrist presence and extremely unique! Price tag of $275 in 1975. Medium scratches on display, otherwise in great condition.